It's a great time to purchase your winter vacation home. 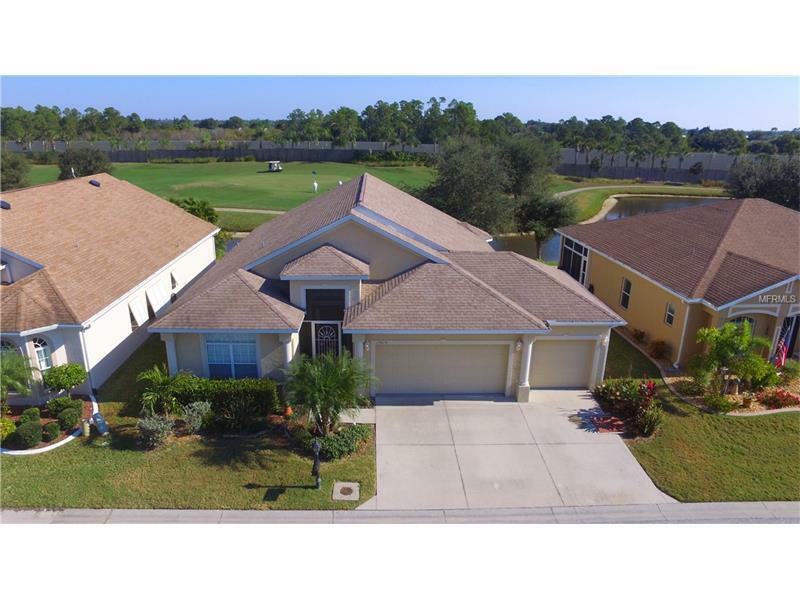 This spacious home offers a beautiful Golf Course view from your living room, breakfast nook and expanded screened lanai. Home features a 3 car garage and the open floor plan your desire. This 2 Bedroom + Den, 2 Bathroom, 3 Car Garage home is located in Kings Gate, a 55+ gated community with resort style amenities. 12' ceilings in living area. Kitchen features beautiful wood cabinetry, solid surface counter tops, Frigidaire appliances, breakfast bar and center island with hookup for sink. Master bath has double vanity, soaking tub and walk-in shower. Guest bath has tub/shower combination. Den has fold down Murphy bed for extra overnight guests. Interior utility/laundry room. This highly desired floor plan with the added luxury of a 3 car garage is a must see. This community is a great place to call home seasonally or year round. Not in a flood zone and no CDD tax in Kings Gate. Golf cart owners can drive their cart to grocery store, bank, local restaurants and stores located in the neighboring plaza. Great location, with quick easy access to all that southwest Florida has to offer.